Why is TOWIE's Kirk Norcross so 'embarrassed'? It was another drama-fuelled episode of Ex On The Beach last night - but why is Kirk Norcross feeling so 'embarrassed' this morning? TOWIE star, Kirk Norcross, has been caught up in a serious amount of relationship drama. The 27 year-old has woken up feeling apologetic and regretful – and it’s not because of a killer hangover! MTV‘s Ex On The Beach was as explosive as ever and last night we saw Kirk make a dramatic exit from the lavish house in Mexico. 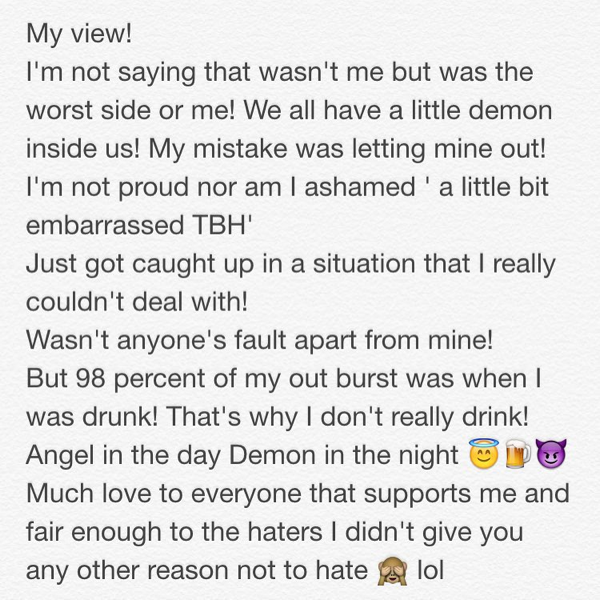 He took to Instagram and Twitter to share his side of the story, revealing that he is ’embarassed’ of his actions. As one of the original cast members for the third series, Kirk had a lot of pressure thrown his way throughout his time on the MTV dating show. Not only did he immediately hook up with the first ex to arrive, tattoo model Jemma Lucy, but his fiery ex-fiance Cami Li was intent on causing a huge storm. Much to Kirk’s dismay, Cami made a memorable entrance on the beach. She admitted the only reason she was there was to get ‘revenge’ on her ‘controlling’ ex. The second the pair laid eyes on each other, countless personal insults were thrown around in what was by far the most entertaining Ex On The Beach showdown so far! But Kirk’s hard-hitting reality didn’t stop there. He ditched Jemma and promised Cami he wouldn’t be with any other women in front of her. He then latched on to Ali Drew, ex of Magaluf Weekender star, Jordan Davies, which nobody seemed to care too much about. So it’s happily ever after right? Wrong. Witty Geordie Shore queen, Vicky Pattinson, shocked everyone when she made a second appearance on the beach – as ANOTHER ex of Kirk! He seemed to fall for the funny Newscastle lass all over again and yet again it was out with the old and in with the new! Vicky and Kirk had a sneaky snog before he surprisingly told her he that he loved her and that she’s ‘amazing’. It’s all getting a bit confusing for us, let alone Kirk! However, the feeling was not a mutual one – Vicky moved on pretty quickly and kissed Stephen Bear in the pool right in front of Kirk’s sour face the same night! Ouch. Turns out her and Stephen are still a happy, loved-up couple now, so at least it wasn’t all for nothing eh, Kirk? Kirk decided to leave the show, after a very teary and emotional confession. He claimed it had all become ‘too much’ for him and made a quick departure to the airport for a flight back to Essex! It isn’t all heartbreak and disastar though; Kirk is now totally crazy about his current girlfriend, Holli Willis. The pair got engaged a few weeks ago and are even expecting a baby!